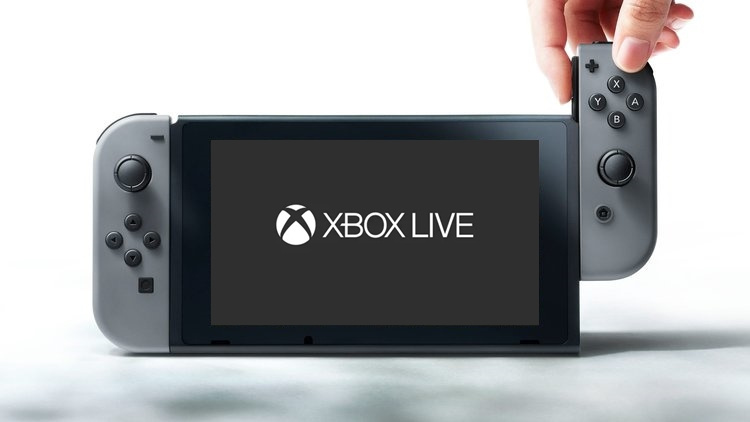 Last week, Microsoft's Gaming Cloud Chief Kareem Choudhry said the technology giant had no specific Xbox Live announcements for the Switch right now. Despite this, the company has somehow touched on the subject again at the 2019 Game Developers Conference, currently taking place in San Francisco. According to a tweet provided by Windows Central journalist Russel Holly, Microsoft has "no plans" for an Xbox Live SDK for Switch right now, but did inform Nintendo fans to be on the lookout for more Xbox Live-enabled games like Cuphead in the future. Microsoft: No plans for an Xbox Live SDK for Switch right now, but expect more games like Cuphead to come to Switch with Live enabled over there next year. What games would you like to see from the Xbox One library, released on the Nintendo Switch? Tell us in the comments below. I hope Microsoft and Nintendo will work togheter to build something bigger than Stadia. We need psyhical content! Rare Re-play! Rare Re-play! Rare Re-play! This is like the gaming industry’s worst kept secret it’s hilarious at this point. Xbox teams up with Smash Bros Ultimate to bring Banjo Kazooie as a dlc character..... In addition to better support the online infostructre. Also, I hope MS will let Yacht Club Games add the Battletoads DLC to the Switch version of Shovel Knight: Treasure Trove. It could explain why they delayed the final update. Edit: Apparently, according to Yacht Club Games, they have no plans to bring the Battletoads add-on to the Switch version. I mean I guess this is ok. If they let mutiplats patch it in it could be pretty useful instead of only having five or so games that use it. I know how it's basically totally unlikely, but I'd love to replay the old Halo games. 1-3 and Reach. I don't care about the later titles, but the old Halo games are like the one IP Microsoft has that I would love to revisit. Yup, I totally expect the announcement of Ori on Switch to be right around the corner. Really hoping for Rare Replay and Banjo in Smash too. But yeah, Cuphead and probably Ori? That's darn good start. Master Chief Collection! Come on! Rare replay is generally poor/average with obviously the odd classic such as banjo included. It is a nostalgia trip that very quickly looses its shine. In some ways it actually spoils the memories - atic atac and sabre wulf are immortal classics in my mind - playing them on rare replay however and they are extremely poor games that have not aged well at all. While Microsoft might have the weakest exclusives of the big 3 to a lot of people, I'm still pretty excited. If Halo, Forza, or Ori come I'll be super excited. The Forza Horizon games are some of my favorite games! I’m properly alone in this but i really want State of Decay 2.. Realisticly a Master Chief Collection and Gears Trilogy would ve awesome! Microsoft & Nintendo just became friends. Sony has left the chat. Give me Ori and Rare replay! Rare Replay and Ori are all I ever wanted on Xbox so I’d gladly take either. Have a couple on various consoles but the collection on switch would be brilliant. Ori on Switch is all I ask, and I'll be happy. People list all the Xbox games they want. I sit here thinking, "they've been available for years. Even before the Switch. Why didn't you just buy an Xbox if you wanted to play its games"
I also wonder if this is Microsoft setting up a games network across other platforms in preparation for them moving away from console development in some form. Rare Replay and Ori please! Maybe ReCore too? I would be very much OK with Xbox Gamepass on my Switch. Bring it on Microsoft! Fable trilogy. Original Xbox games. Microsoft have a nice back catalogue to work from. I've not played cup head. Will definitely buy that. Ori and the blind forrest looks great too, so hopefully that comes out. Obviously rare replay would be amazing. Remember the rumours of smash DLC characters... Master Cheif was rumoured right? Maybe that makes the master chief collection on switch more possible? Perhaps they wouldn't put MC in smash unless an actual game with MC released on switch? @Ttimer5 That would be a dream come true, he has all of the abilities required... Vengeful spirit would be B, Crystal Heart would be side B, howling wraiths up B, Desolate Dive down B, up B could just be his cyclone attack similar to Link... He's made for it! @KingdomHeartsFan why would I buy a console for just two games? I can't wait to hear Microsofts reasoning behind it. We all know why, but I'd still like to hear their take on why Cuphead makes such a great fit on the Switch. I'd also love to know who approached who first. @fafonio You wouldn't. I wouldn't either. There is something even bigger to come than Microsoft games on the Nintendo Switch . E3 2019 is going to be really special for the gamers all around the globe. I wish people would stop giving that statement credit. Serious adult games have always been a good fit on Nintendo main consoles. Goldeneye, Perfect Dark just two examples from the N64 era but it was littered with exclusive adult games. Arguably as good as any on other consoles of the day. It’s a myth. Everyone’s gran owning a Wii didn’t help the cause but even there the Wii was as full of adult games as the other consoles it competed with. All games are a good fit for the switch. The user base is massive and varied. If you can’t sell the game on the switch. It’s rubbish or broken. Don’t blame “the fit for switch” nonsense. Give us Battletoads, Goldeneye 64, Donkey Kong 64, Perfect Dark 64, Banjo-Kazooie/Tooie, Eternal Darkness and Conker’s Bad Fur Day HD remasters on Switch and I’ll be happy. Otherwise, I’m not the least bit interested in this project. Ori would be great but what about the sequel coming this year? That would be a statement of intent! Rare replay would be like the franchises coming home. So many games on there that were Nintendo only games. The sorts of collections that are out there I think may have had a big influence on the lack of virtual console. The publishers can hit a far wider audience with them now. I mean there are nes and snes exclusives on PS and xbox now with more to come. I wish Nintendo would take a similar line and create some anthologies. I'd pay decent money for a Zelda collection - maybe split into 2 releases for mainline and portable? Also the multi-player games would be great on Switch with the joy con support. Seems like a total no brainer to me! I'd love Killer Instinct. Perfect fit for Switch. @Stocksy I always took that phrase the other way in that there are games that are maybe simpler in look or style that allow for a dip in and out element to the gameplay. Cup head being a great example - one go at a boss takes a pretty short time. That said I also take the point that Switch has reached beyond that now and given we have MK11, Doom Eternal and many older ports of more 'adult' themed games and ones that don't lend themselves to the hop in and out gameplay - looking at you dark souls, I'd agree that any game that works well is now suitable for Switch! I know I say this everytime something like this comes up but... GIVE BANJO BACK!!! @electrogeist eternal darkness? What the heck? Microsoft doesn’t own that ip and never has. It’s ninten and wasn’t made by rare. This is great and all, but relationships are normally two way. What's the catch from the Ninty end? Should we be worried? Why isn't anyone else talking about what Microsoft get in return? 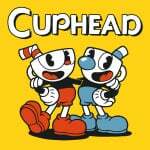 @jswhitfield8 they get most of the money for Cuphead when it sells really well on Switch? Nintendo has no need to reciprocate and lend them a license, even though Breath of the Wild running on Xbox would run much better than it does on Switch. Any games that they wanna bring to switch would be welcome. @Heavyarms55 Well, they are bringing the Masterchief Collection to PC and are releasing it on Steam instead of making it a Windows Store Exclusive. That looks to me like Halo on Switch isn't completely impossible. @faint silicone knights and some rare key team members worked on the game. Learn your history, kiddo. @countzero If Nintendo and Microsoft continue this surprising level of cooperation, it could happen, but I still seriously doubt it. On the slim chance that it did happen, I'd buy it in a heartbeat. Theres no chance of Goldeneye neither Rare Microsoft or Nintendo or even all 3 combined own the rights to James Bond games regardless who made it back then. Also as much as i love goldeneye on my N64 its a real relic now when you go back and those remakes on wii etc just no leave it alone. @fafonio @KingdomHeartsFan I bought a One X as its the best way to play multi platforms by far at the moment. But I do have a house full of sons and we need a few consoles to keep the peace. Forza Horizon 1 and 2, Forza Motorsport 2-4, and the first four Gears games run on the 360. Perfectly obvious potential conversions. That has absolutely nothing to do with anything. It isn’t a Microsoft game, an Xbox game, or even a Rare game. ‘Learn your history’ indeed. I have an Xbox. Doesn’t mean I dont want some MS games on the Switch. I’d happily buy Horizon 1&2 again to have them on a portable. People talk about Switch being capable of running Xbox 360 games, but let's remember Street Fighter IV wasn't made available for the Switch with the preorder of Street Fighter 30th Anniversary Collection, unlike what happened with Xbox One and PS4 versions of the collection. The Switch is not that much powerful than Wii U, which in turn was close to Xbox 360 and PS3, very close indeed, but not quite there. @Moroboshi876 sorry buddy but you are wrong on this one Switch is a decent amount more powerful than both Ps3 and 360. And switch is a 1 tflop console. My motivation for buying an XB1 was to get Rare Replay and the Master Chief Collection. I now have them, virtually unplayed (because they're not handheld), so I'm exceedingly keen for those. If they wanna send Forza Horizon 3 & 4 Switch's way too then even better. @electrolite77 @BarFooToo Everybody will be different. I'm referring specifically to those who restrict themselves to one console out of fanaticism, rather than go where the games that they want are. That doesn't include the majority of you though. @Medic_alert OK, good to know. But then why didn't they port SFIV when the other consoles got it with the 30th anniversary collection? For instance. That'd be nice if Xbox had any games worth playing. Some of the older Rare games, maybe, but that's about it. In terms of games, if the rumours of gamespass by xcloud are true, then the Forza, Gears etc would come through that. I think this says more about Nintendo's health than Microsofts. During the Wii U days I heard a lot of chatter surrounding Nintendo becoming a software publisher only and that having Mario on Sony and Xbox would lead to huge sales. Fast forward three years later and Microsoft is bringing games and services to Switch, not the other way around. I haven't heard one single rumour of Nintendo letting their games go to Microsoft. @Moroboshi876 um the 30th anniversary collection is only 12 games on any console, SF IV was a bonus that came with the purchase for xbox and ps4 (since it already existed on those platforms). If they ported IV to the switch they would probably charge the full price of developing the port. "What games would you like to see from the Xbox One library, released on the Nintendo Switch? Tell us in the comments below." @ibtachi I know, but some people argued SFIV was too much for the Switch. @Nintendofan83 I think it is more to do with the fact MS cannot break into the Japanese market. Releasing xbox games onto the switch is a smart marketing move. @Moroboshi876 Hahahaha you are asking why Capcom was too lazy to port SF4? @Indielink I agree with you. Crapcom they say. @eRaz0r I agree, which is why I said it isn't the complete picture. I'm struggling to find direct processor comparisons I believe because the tegra is actually a custom chip in the switch but even if it does clock lower than the x360 hardware that doesn't end the story either. Switch has more memory around 3gb for games vs 360's 512mb, it also uses a faster standard for that memory. There is also the questions of improved architecture and design allowing for greater efficiency and being able to push the hardware harder with less heat. And raw results should give us all an indication of the improvement. Max resolution on 360 and Ps3 was 720p we have that on many games from this gen in handheld and we get 900p and at times 1080p docked. @Punisher67 Like all games 8 bit and below. The only 8 bit game that aged well is Mario Bros 3. The first Banjo Kazooie, Blast Corps, Perfect Dark are timeless. Some potentially good news. It looks like Disney is finally doing something right with Star Wars, taking the SW licence exclusivity away from EA and booting up LucasFilm Games, who will be the ones working with VG devs to make SW games. We might actually see some good SW games now and more importantly, we might actually start seeing SW games on Switch. @Whalehome as far I was aware, Cuphead is self published by the dev team. Microsoft would've had to have been paid to break the console exclusivity but that's about it, unless the contract states they'll get a portion of the profits. This would be good enough if it was just the game. The fact that achievements are coming to this (and minecraft I believe) means there's a deeper relationship to just selling off Microsoft's exclusive games. @electrolite77 older forza games have been delisted because of licensing issues ecen on xbox stores. Doubt they would renew them just to sell them on switch. Don't get me wrong I would absolutely love having even older forza games on Switch but just don't see those coming. Super Lucky Tale seems to be the most obvious next step. @Punisher67 I sadly suspect you’re right. I remember underworlde just blowing my 11year old mind, I played it and played it and played it. I reckon those perfect controls and instant deaths would be just irritate me now. If they could add a few quality of life tweaks they could be fun. Still, I would absolutely snap up Rare Replay on Switch just to get that retro kick for a bit. @jswhitfield8 I think it would be the same thing as Minecraft, where Microsoft owns the IP and got a majority of the revenue when Minecraft was brought out to other platforms. It's a win-win for Microsoft in that regard. I’m definitely buying Cuphead for my Nintendo Switch! I’ve sold my xbone, and I have no interest in buying another console from Microsoft anymore, but I’ll gladly buy their games for my Nintendo Switch! Didn’t Microsoft announce a new Battletoad game at E3 last year? I’ll take that for Switch, if that game turns out ok.
Yeah I don’t get that at all. Just buy the systems that have the games you want. I wish N would just team up with MS and let MS run their online infrastructure. doesn't have to be labeled Xbox but MS has the best backend in the business so if MS is really going to transition to more services it's a no brainer. I’m pretty sure it was only music licensing issues at work. Not worth renewing them for Xbox sales when there are newer versions. Might be worth it for a whole new revenue stream though. If they somehow got Sea Of Thieves on the Switch I'd be content. I'd love to try that game out. @electrolite77 music licensing is pretty expensive. I doubt it would be worth it time wise and financially to go back and renew all those lapsed contracts for a years old game that will sell maybe a million or 2 on switch. Like I said I would love it as the Forza games are the literally the only reason I bought an Xbox One, but I just don't think itll happening. We'll see though. Ori and Rare Replay get my votes. Hopefully we can get Banjo Kazooie! If the whole library was available then we would get classic Star Wars games, Final Fantasy 13, 13.2, Lightning Returns, Halo, Forza, and Madden. I would like the two to work things out and do a new Diddy Kong Racing game. This could work like similar to how it worked for Sony and Disney/Marvel on Spiderman Homecoming. Let Nintendo do their magic, the game will sell greatly, and both make some money! However, this is super unlikely....just a pipe dream. RareReplay! Nintendo needs Banjo back! @biglittlejake Games like Madden & Star Wars could come to Switch now if EA would like to, Microsoft has no say in whether or not those games get released on the Switch. Same with Final Fantasy, but it would be Square Enix making the decision. @electrolite77 All the games you list would sell well on the Switch, and like you pointed out; if they ran on the 360 then they can run on the Switch. A game like Forza would do incredibly well on the Switch since the system lacks a quality racing simulator...and Forza is the best IMO. I wasn’t even thinking of licensing the old music, use what’s in 4 or different music again. I just think there’s a big niche wide open on the Switch for game(s) like Forza. If they see it that way I doubt they’d let music get in the way. Since Switch is my only console I would love a chance to play some of these Microsoft games. @sword_9mm There's really only 3 back-ends in the world at this point (excluding China's proprietary national stuff which is a whole different thing): Microsoft, Google, Amazon. Almost certainly, Nintendo is using one of those already. Sony uses Google AFAIK. MS is their own. Maybe Nintendo is using Amazon? Or, Nintendo being Nintendo tried to roll their own datacenter. Ori and the Blind Forest is a certainty. Hopefully Rare Replay will come over too. The older games would look a lot better on the Switchs little screen instead of on my 75" TV. It certainly is. And the Horizon games are magnificent. I also think Halo could gather itself a real market on Switch as well. There’s a big gap for a quality shooter, both in single player but especially multiplayer. If both Nintendo and MS got behind it, it could be huge. Rare Replay and Ori should be a given. As should Disneyland Adventures and Pixar Rush too though they may not gain much interest on here (again, they started on 360). I see others wanting Super Luckys Tale but I found it a bit disappointing. I'm guessing that the seeds of this new relationship between Nintendo and Microsoft is why we've not heard anything about an N64 Mini yet. If they can secure an agreement to have all of the Rare games on the N64 Mini then it will be a much more attractive prospect for potential buyers. @Moroboshi876 Street Fighter IV was on 3DS, and mobile. It had nothing to do with the power of Switch. Wii U could have handled it too. It was Capcom being Capcom. @dkxcalibur Nothing is really stopping a Diddy Kong Racing from happening. Nintendo could still make a new one, just without Conker or Banjo. I think the lack of it really comes down to the fact NCL thinks Mario Kart is the only racing game anymore. MK incorporated a lot of ideas from DKR & F-ZERO, it really just lacks a story mode at this point. Oh so it's Xbox Live enabled games but not make the whole system Xbox Live. I understand now. Recore, Super Lucky's Tale, Rare Replay, Forza and Ori, please! I think Lucky has the greatest chance of coming. Microsoft doesn't want to enter into the handheld market, but wants to get sales that come from it. Nintendo doesn't want to enter into another three way peeing contest over who has the most powerful console. So it makes sense that Microsoft ports stuff to the Switch and Nintendo plays nice with the other company that isn't Sony. Had a look at my copy of Jet Set Radio Future and the game manual warranty is for Microsoft, not Sega. Checked other original Xbox games and the warranty is always the games publisher. So OutRun 2 warranty is Sega, Toca 2 warranty is CodeMasters and, yes, Halo warranty is Microsoft. However, Jet Set Radio Future was a console exclusive, so fair enough, but still having the warranty be Microsoft rather than Sega may be unusual, especially at that time. It's possible that a very tight exclusivity rather than the commomly referred to music rights, has held back release of this most requested game. And if that's the case Sega (who love the Switch) could possibly do a CupHead style agreement with Microsoft to get 'Future on the Switch made by the Ages guys. E3 2019 announcement? Even if reaching it's becoming increasingly likely that Nintendo / Microsoft are gonna make some kind of joint announcement at E3, and probably in relation to Microsoft basically providing the Switch's Live service. But if so would it be Nintendo paying them a huge fee, a percentage of sales, or something else entirely (based around cloud gaming)? @Vapeguy silicon knights has been disbanded. I sincerely hope we get the original devs to come back and create an HD remaster. Am I the only one who reads MasterChef everytime I see someone mentioning MasterChief? On a side note, give me Fable!!! All the best Original Xbox games. There's lots of them. Graveyard keeper would be sweet to play on the switch! @redd214 The Forza delists may have also been car licensing like some car manufacturers are currently exclusive to Gran Turismo now. Think of it like the exclusivity battles over certain artists and songs between Rock Band and Guitar Hero back when Guitar Hero was alive. I don't expect any Rareware stuff, but maybe Ori 1 and 2, The first Splosion man, Braid? Pretty cool! Also this isn't the rumored streaming bs, right? This is just paying, downloading, enjoying. Thank goodness! !